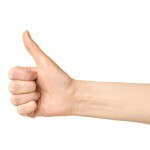 Home » Blog » Do annual reviews work? The annual review is an event that many people – both those administering and those receiving – usually dread. It is a time at which, as an employee, you must account for your actions and prove your worth. For managers, it’s an occasion to deliver praise or tackle difficult issues. The ‘serious’ bit aside, the annual review traditionally coincides with pay increases and bonuses, so is something that staff depend upon every year. The absence or delay of a review can understandably cause individuals to feel quite aggrieved. The question as to whether annual reviews are worthwhile is a divisive one; while it’s undoubtedly important to review performance from both the business’s and employees’ perspectives, is this the right way to do it? Is the annual review outdated and hated, or rated and eagerly-awaited? 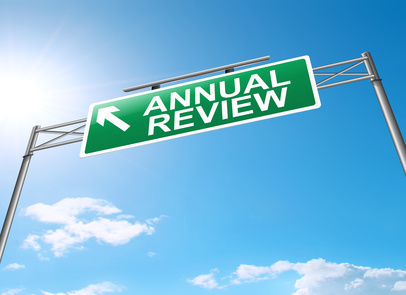 Essentially, do annual reviews work? We put the question out on social media for some thoughts. The average person requires the satisfaction of several basic needs, according to Maslow’s famous Hierarchy of Needs. These cover financial security, job security and feeling like you belong. Not to mention self-esteem via achievement, attention, recognition, reputation and self-respect. Whilst no doubt appearing simplistic, these needs can all be met during the annual review process when it is facilitated properly. Consequently, it’s good for employees to understand how they’ve performed over the last year. That’s not the only reason, of course. Annual reviews offer the opportunity for employers to identify and address problems; to determine and bridge skills gaps; to establish career paths and personal development plans and ultimately, to nurture and retain their most talented, valuable employees. They serve as a useful forum through which manager and direct report can talk uninterrupted, helping to build rapport and respect. What’s more, due to their usual association with financial reward, annual reviews can motivate staff, so are consequently something that most employees look forward to year round. This is especially so if the yearly appraisal is the only platform through which they can approach the dreaded salary conversation. The ideal review should be clearly communicated, consistent and supported by additional reviews; tracking progress against defined, but realistic, objectives. “Keep it fair, transparent and methodical,” says Swati. As this is a subjective process which relies on the reviewer’s professionalism, management training is vital for avoiding bias and helping managers deliver tough messages. Naturally, there are many people who resolutely disagree with the concept of annual reviews – claiming that the point is lost as employees concentrate solely on the reward element and crucially, as Phil Baker, Head of Change at Endsleigh Insurance says on LinkedIn: “It can disengage the top performers”. He makes a good point. As the review is so intrinsically linked with pay and bonus, the process can actually demotivate. Often, HR, Reward and/or line managers are forced to determine performance ratings expressly to fit a distribution curve. This practice can cause huge issues should an individual discover a peer has received a better bonus or increase than they have purely to ‘fit the curve’, plus it’s simply unfair. One bad experience can prompt a swathe of individuals not to bother, as they know they won’t ever be rewarded for their efforts, rendering the annual review useless. Perhaps there is a better way to manage performance and reward staff? 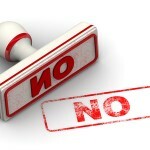 Sharlyn Lauby, who runs the HR Bartender blog, writes about separating the ‘appraisal part’ from the ‘increase part’ and thereby removing the emotion from the process. “It’s not mandatory to talk about performance and pay at the same time”, she says. By doing so, the review can become more constructive. She cites the example of US-fast food chain, Texas Road House, which revamped its review system into one which focused on the future, concentrating on growth, planning and support – not what’s happened over the last twelve months. The initiative is supported by regular 121s and pay increases occur at any time on a discretionary basis. Management says turnover is low and engagement is high. 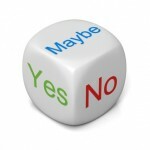 Previous article: To be or not to be……. a L.C.C.? Next article: How might the 'right to be forgotten' ruling affect candidate background checks?